Here at Black Lawrence Press we are celebrating National Poetry Month with a poem a day, featuring a total of 30 authors from our list. Today’s featured poet is Lisa Fay Coutley, author of In the Carnival of Breathing. dark omens. Crows with curtained throats. and picking her teeth with a receipt. peeling its white scarf through blizzards. strut across town in my ballet slippers. Your shape in this bed is my shape. Erase my whole notes from your page. off a pickup pulled us further from home. of ravens tugging at the firmament. Lisa Fay Coutley is the author of Errata (Southern Illinois University Press, forthcoming 2015), winner of the 2014 Crab Orchard Series in Poetry Open Competition Award, and In the Carnival of Breathing (Black Lawrence Press, 2011), winner of the Black River Chapbook Competition. 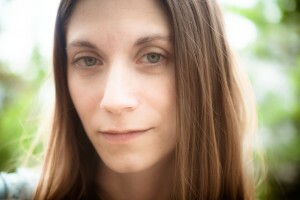 Her poems have been awarded a fellowship from the National Endowment for the Arts, scholarships to the Bread Loaf and Sewanee Writers Conferences, an Academy of American Poets Levis Prize, and have appeared recently or are forthcoming in Kenyon Review, Gulf Coast, Crazyhorse, Ninth Letter, and Best of the Net. She is a PhD Candidate at the University of Utah. When I was much younger, I had started writing poetry and did so for many years. Your poetry reminds me of the kind of writing I wanted to do, but never pursued it. Thank you so much for bringing this poem to all of you. So refreshing and this one is outstanding.